Some of the colors I've been gravitating towards this fall are browns and reds. I especially love red-browns this time of year. Strangely enough, I find these colors hard to come across especially the kind of color I'm looking for in particular. They are either too brown or too red for me. I realized this when Zoya Pepper was released in 2013. I was 100% sure I could find a drugstore dupe to it, but I couldn't find anything remotely close to that color. It seems like such a dupable color, but it's not. I ended up buying Zoya Pepper, and it's favorite of mine to this day. 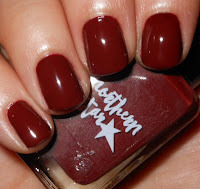 I haven't come across other red-browns I like as much as that until now thanks to Northern Star! Vampires Love Polish Too is a rich brownish red creme. Color: That's what I'm talking about! 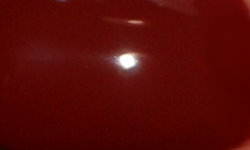 This color is the perfect blend of red and brown. It is a tinge more on the brown side, but the brown doesn't overwhelm the red in anyway. I love the richness of this color and it's so chic! I've been wearing it all week and I've received many compliments on this shade. Formula: This has a great formula. It was easy to apply and use. I used 2 coats above. Price: This is $9 on Northern Star's etsy site. Overall: Vampires Love Polish Too is an excellent polish. I absolutely love the color and the formula! This is a definite contender in my Top 25 of 2015 for sure. Just in case you're curious. 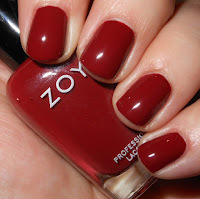 Here is a comparison of it with Zoya Pepper. They're definitely not dupes. Vampires Love Polish Too has more brown tones to it. I love them both though!